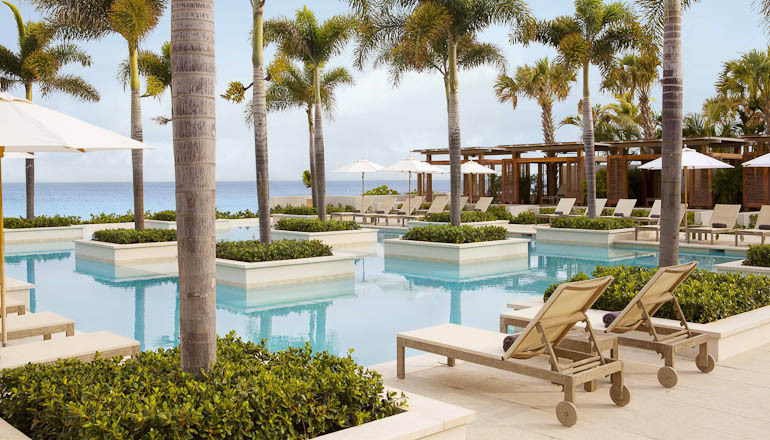 Anguilla is one of the most beautiful destinations in the world. The paradise island offers laid back Caribbean luxury to the most discerning traveller. Anguilla is often considered to be one of the Caribbean islands that is off the beaten track and therefore this protects the exclusivity and character of the island. Anguilla is a small island just over 16 miles long by 3 miles wide yet it offers something unique for visitors. The island has without a doubt the best beaches in the Caribbean. Spend your days relaxing under the Caribbean sunshine on one of the many pristine white sandy beaches, followed by an unforgettable dining experience in one of the fantastic restaurants on the island. Known for its cuisine, Anguilla has some of the best restaurants in the Caribbean. The island offers world class restaurants throughout the island. The island has award winning dining that offers sophistication, elegance and the most creative cuisine that uses all the fresh local flavours from the island to create memorable dishes. It is by far one of the best islands in the Caribbean for food. Not only does Anguilla offer amazing gourmet cuisine but they also have some of the best local and casual dining where visitors can experience Anguillan life and culture through the food and interacting with the locals. The island offers visitors a unique blend of luxury and low-key elegance. The island is quaint and peaceful yet there are endless activities to enjoy if you choose to do so. These activities include boat trips, water sports, deep sea fishing, scuba diving and snorkelling, tennis, golf, hiking and much much more. There is so much to do on the island and our concierge would be happy to help you organise all these activities in advance. The island is one of the safest in the Caribbean and offers visitors charming villages, stunning beaches, wonderful diving experiences and pristine turquoise waters. 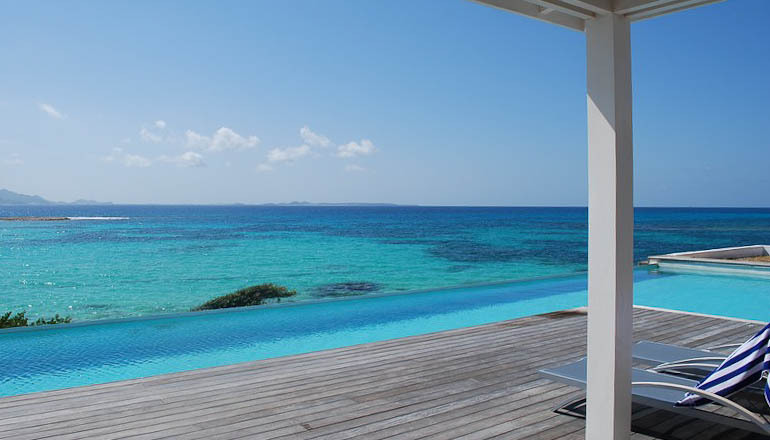 We only feature the most luxurious Anguilla Villas, with our team of experts having inspected each one to ensure they meet our highest standards. 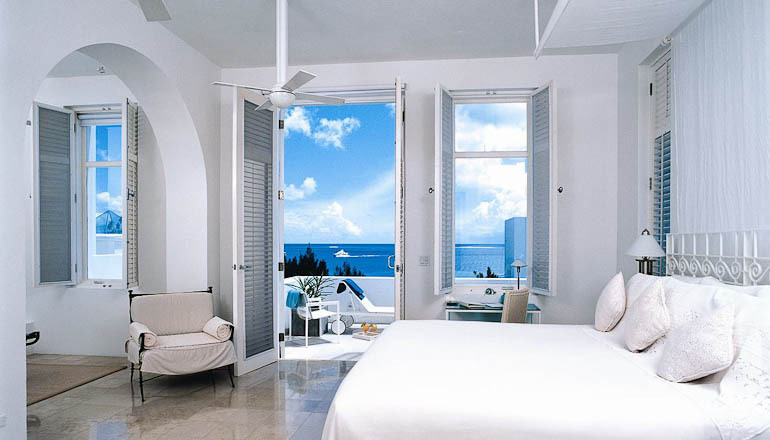 Our Anguilla expert Niamh would be delighted to help you find the perfect Anguilla villa catered to your requirements. Anguilla has 33 amazing beaches in total and a lot of clients come to the island to relax and to completely chill out on the beach and unwind from their normal busy and hectic schedules back home. The most popular beaches on the island would have to be Shoal Bay East, Barnes Bay and Meads Bay but all the beaches on the island are so gorgeous – it really is difficult to pick a favourite. Each beach is unique and all feature white powdery sand and excellent swimming conditions. Anguilla is also famous for their numerous beach bars where you can spend the day or night mingling with the locals and other visitors to the island. One of the best beach bars on the island is Bankie Banx dune Preserve which is located on Rendezvous Bay. It has a funky laid back vibe and serves the most gorgeous food while you listen to some exceptional reggae music with a drink in hand. CNN even voted it the #1 best beach bar in the world so it really is a must visit while on the island. Another popular beach bar would be Elvis’s Beach bar located in Sandy Ground and is a very traditional style beach bar in Anguilla. It is perfect to visit after or before a boat trip in Sandy Ground. There are so many beach bars on the island and they are all as good as the next so we highly recommend you explore as many of them as you can while staying at one of our Anguilla villas. While staying at one our Anguilla villas, we highly recommend you take a trip to Sandy island located just off the Anguilla coast. Guests can take a boat which takes only 10 mins to reach the island and the water is very calm so it is a very enjoyable trip over. It is a tiny island that only has one beach and bar/restaurant but it is like a little paradise that must be experienced. A lot of guests like to go over and spend their afternoons swimming/snorkelling or sunbathing on the beach. It is an excellent adventure for a large group or couples travelling together where you can enjoy rum punches at the bar and have some delicious fresh food from the grill. Sandy Island can also host private events such as weddings, meetings, birthday parties and any other special occasions. It is the perfect backdrop for a special event and events can take place during the day, sunset or at night time. 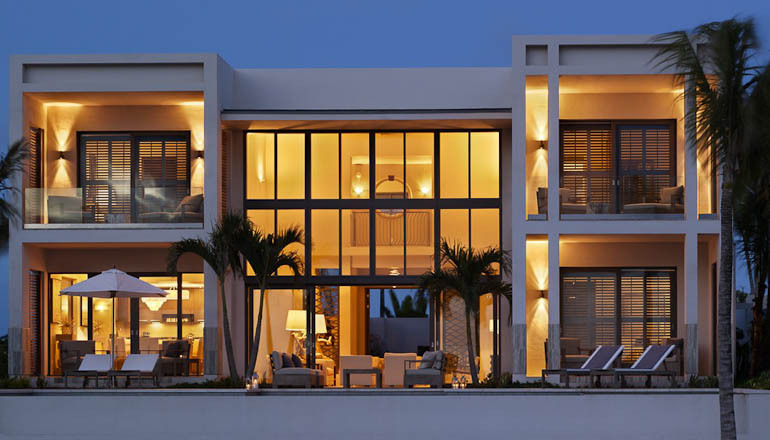 When you book your Anguilla Villa with us, we provide a full complimentary concierge service. Our knowledgeable concierge will be able to help arrange your trip from start to finish which makes planning everything so much easier. Our concierge can help organise car rental, restaurant reservations, activities, grocery pre- stock at your Anguilla villa prior to arrival, chef service, arrangements for special occasions and much more…We look forward to welcoming you Anguilla.